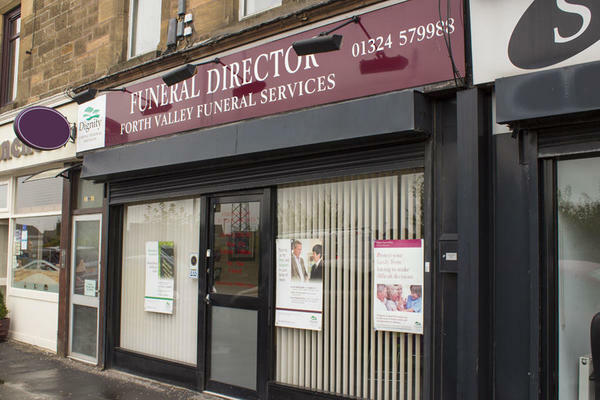 We are Forth Valley Funeral Directors, and we are here to help you and your family arrange the perfect farewell for your loved one. Based at our funeral home in Falkirk, we support our local community by helping to plan unique and personal funeral services. We are able to conduct all kinds of services, whatever you feel is most fitting for your loved one. We have a wide range of knowledge and expertise, which we will use to organise your loved one's funeral. This means that whether you would prefer a religious or a non-religious ceremony, or a woodland burial, colourful celebration, or alternative funeral, we will be able to help you make it happen. We want you to know that we are here to support you during this difficult time, so please get in touch with us at a time that suits you. Our dedicated professionals are on hand 24 hours a day, and we are never more than a phone call away. At Forth Valley Funeral Directors, we understand how special life is with those that you love. For us, every funeral is unique and personal. We have a service to fulfil every wish, with every detail carried out with the same uncompromising quality of care. From a traditional service, to a colourful woodland burial, your options are limitless with our Full Service Funeral. If you have a little more flexibility when it comes to arrangements, then we can provide a Simple Funeral for a lower cost. There is on-street parking at the front of our funeral home. We are opposite Larbert Railway Station. Our staff are available 24 hours a day on 01324 579988 if you require our services outside of these hours.